I am blessed to work in a place that values God, people and community. We start each Monday with a time of group devotions. This helps me keep my focus on what matters thoughout my week. Last Monday’s devotional brought me to my knees and made me take a hard look at how I serve others. When you work for a ministry or nonprofit it is all too easy to get bogged down and overwhelmed because the needs of our city are so great. Sometimes you wonder if what you do truly matters, are you making a difference? That is when we have to slow down and remember who we serve. Have you ever had to wait for something? I don’t know about you, but for me waiting is hard. We are not creatures of change, we like to stay in our comfortable space of knowing what’s next. Especially if you are a planner, you know the steps that will lead you from this to that, but what about when you have no control over those steps? Someone else has to make the decision to take those steps and you have to wait on them, on the process. The space between what we know and what comes next is uncomfortable, at times unbearably so. Uncertainty has a way of filling our hearts with things that are not warm and fuzzy. 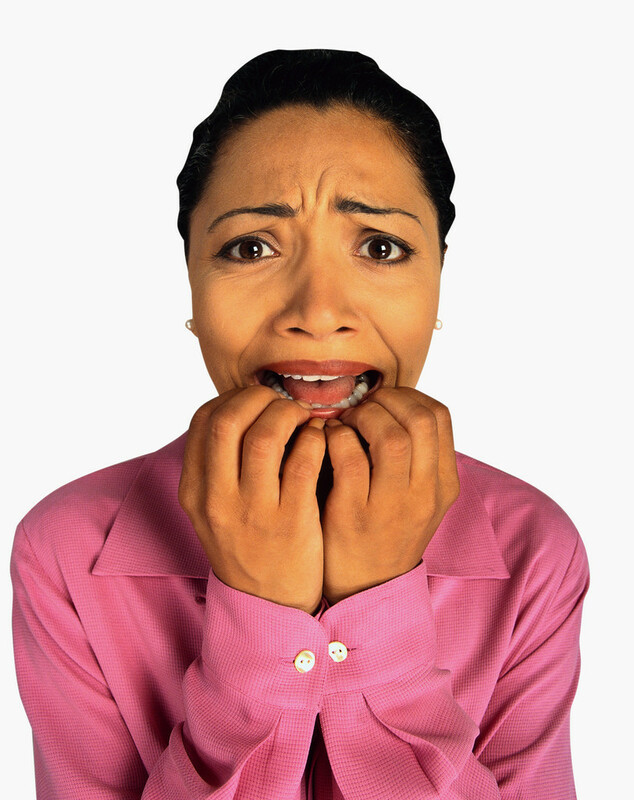 Things like worry, anxiety, and fear can paralyze us if we let those feelings run rampant. But there is hope. That’s where I feel the rubber hits the road. God does some of His best work right there, in that space between this and that. Of course, it is hard to see it while you are in between, when the emotions run away with every possible scenario and your mind is trying to make sense of the chaos your emotions are churning around like butter. In this in-between space, faith is tested and God does incredible things. My husband will tell you I am terrible at waiting, patience is an area where God is constantly at work with me. When I look back and see how I have struggled in those spaces between this and that, the times when I didn’t rely on my faith, on God, I clearly see how I made things much worse than the times when I opened myself to the possibilities of God had in store for me. I know God is at work right now, I am in the space between, even as I type this message. Sometimes when you hear something, it strikes a cord that wakes up your Spirit and compels you to act, to read, to pray, to listen, to write. Today my pastor said, “my hope is alive in the midst of the storm.” Immediately the verse below came to mind. Look at the Israelites, Moses brought them out of captivity, God told them where to go, they were in the process of going and spent 40 years between this and that because they weren’t obedient and open to what God had in store for them. I don’t want to be out of God’s will for me, I want to be obedient. My prayer right now is, “Thank you Lord for this gentle prompting in my Spirit to stay calm, lead me, show me Your path, I am here waiting in the between and I am at peace, help me to keep that peace no matter where the path goes. My mantra for the last month has been ” I don’t know what the future holds, but I know who holds my future.” God is doing a new thing, and while I don’t know what that may be, I know I am to be content no matter how long the between lasts. a social group of any size whose members reside in a specific locality, share government and often have a common cultural and historical heritage. a social, religious, occupational, or other group sharing common characteristics or interests and perceived or perceiving itself as distinct in some respect from the larger society within which it exists(usually preceded by the): the business community; the community of scholars. These were the top 3 definitions, as you can see, a community can look different depending on your vantage point. Consider your community, is it a neighborhood, sports team, church, school, work? The list could go on and on. Recently my church moved into a new community. We have been there a few months and are not familiar with the neighborhood. This move has me pondering how to engage with those around us? I find myself going back to a book we read as a staff at work last year. This little book called The Art of Neighboring really had some practical insights and I highly recommend it. Why study a book on neighbors? Shouldn’t we love our neighbor as ourselves? Ask yourself, how often do you intentionally reach out to your actual neighbors? Do you care about what goes on in your neighbors’ lives? Most of us don’t even know our neighbors anymore. So maybe we need this book more than we realize. We come home, through the garage, close the door, retire to our dens or backyard without even seeing those around us. No kind words or even happy waves happen. We are in and we are out. I believe so many times we alienate ourselves from our neighbors because they don’t look, act, or talk like we do. We are afraid to step out and introduce ourselves or afraid to make a social faux pas because we don’t know the person. But how can you get to know someone unless you step out on faith? When we were stationed overseas, no matter the country we visited, I always tried to learn, at the very least, how to say “please” and “thank you.” Americans are notorious for expecting you to speak English no matter what, but the ones who at least try to speak the language are blessed with helpful people and forgiveness for butchering their language. My point is, most people are more forgiving if they know you are trying. I am a strong believer in the power of diversity. As a child, I colored with every crayon in the box. Too often in this world, we tend to gravitate toward sameness, what we know and where we are comfortable. There is a wealth of richness and beauty in relationships with people who are not the same as you. You don’t have to agree with someone to care about them. Genuine, loving, long-term relationships with our neighbors requires us to be present, get to know someone by listening to their story. Stories bring us together and allow us to relate on a level we might miss if we don’t have time to listen. Too often we feel we need to fix people’s problems or tell them what they should do. Most of the time, people just want to be heard, to feel like someone really cares and is there if they need to share. So my thought for the day is…What is “community” to you? How do you live that out? How do you connect with those around you? What can you do differently to truly be a good neighbor? It has been a long while since I’ve posted. My introduction into the world of nonprofits has been a learning experience and while I sometimes still feel like a babe in the woods, I also feel like I have found my tribe. The people of Compassion Coalition are not only my coworkers, they are my family. We pray together, talk about what matters and strive daily to make Knoxville a better place for EVERYONE to live. I knew they were my tribe from the first hour I began working with them. They get me. I’m an odd duck, so that’s amazing in itself. They also help me be the best version of myself and I enjoy going to work EVERY SINGLE DAY. That is a blessing from God. Nothing worthwhile is easy, and sometimes things are tough, we operate on a shoestring budget, fundraising can be hard, foundations and churches close, coalition members lose funding and are unable to give, yet I wouldn’t want to be anywhere else, what we do matters. It seems, all of my life experience thus far brought me to a place where all of my gifts can be used and appreciated. My people skills, artistic skills, organizational skills but most importantly my spiritual skills. My gift has always been one of encouragement. This position has given me the opportunity to connect with people on a deeper level, hear their story, share hope and help. While it has been a busy two years, it has also been a period of growth. Stretching my mind, my heart and soul to care more, love deeper and seek justice. This didn’t happen by chance, this job, these people, they care. They care beyond anything I have ever experienced before, and not just for the people they know, their hearts ache for the hurting and marginalized. They help people. People in churches, people on the street, people in the pews and outside the church walls. They help churches cross denominational lines and break down barriers and work together to find common and sometimes uncommon solutions to problems in the community. They connect social work with church work, like nothing I’ve ever witnessed before, yet they are one of the most underutilized community/church resources in town. Some days it seems impossible to put all that we do into an ‘elevator pitch,’ “Our mission is to inform, equip, and connect churches to transform lives and communities through the love of Christ.” Yet I say, we love people well. That is what we are called to do, and we do it with all that we are. In future posts, you will hear more about my journey into the nonprofit life and Christian Community Development (CCD) and as a newbie, how that process has changed me from the inside out. For now gentle readers, I invite you to learn more about the organization I work for, and if you are touched and led as I am, consider giving. As our 20th-anniversary approaches, I am reminded of a skinny cowboy propping up the wall. My dear husband and I met twenty-two years ago on December 9th. At the time, I didn’t want a relationship. I didn’t want to date, I was pretty much over romance all-together. I had been in an abusive marriage for seven years and couldn’t believe the person I had become in that time. I had lost my self-esteem and my sense of who I was, or what I wanted out of life. I was burned-out, struggling with my faith and feeling like a failure. Years of being treated badly had led me to believe I deserved such treatment. I was just beginning to figure myself out again, thanks to the help of some great girlfriends, who dragged me out of the house and into the world again. They took me to line dancing classes at the local skating rink and concerts, and weekend trips, keeping me from drowning in a pool of self-pity. On December 9th, my friend Beth, did exactly that, she drug me out of the house. Living in Nashville, there was always an opportunity for musical entertainment. On that night David Lee Murphy was playing at the Wild Horse Saloon, one of Nashville’s hot, touristy spots on 2nd Avenue, Beth suggested we go and try out our new line-dancing skills. So, rather than sitting at home on a Friday night eating fish sticks and tater tots, I agreed. When we got there, we found a table and ordered Diet Cokes. Not my usual fare, I’m more a Mountain Dew connoisseur (diet – now that I’m older). I know you thought I was going to say something else, but alcohol was never a vice for me. I preferred to abuse myself with bad relationships. So, I am truly a wild woman hanging out at a saloon drinking Diet Coke. Beth and I had fun people-watching and dancing. The wonderful thing about line-dancing is it doesn’t require you to have a date, and no one has to be in your personal space. Both of which appealed to me at the time, since I had sworn off relationships with men. I had a strict rule, I never slow danced with anyone. PERIOD. That was WAYtoo close for me. While Beth and I were people-watching, I had noticed a cowboy in a fringed jacket, Resistol cowboy hat pulled low over his eyes, Wrangler jeans and boots leaning up against the wall. He was cute, in that lone-wolf kind of way. The place was packed with people and we were lucky to have a table with a good view of everything. They were having a beauty contest before the concert so the dances were spread out between the contest events. The place was crawling with very pretty, scantily-clad girls and all types of guys, trying to get their attention. It wasn’t until he got on the dance floor, and started smiling at me, that I realized he had horrible green teeth. When he got close enough to where I could actually hear what he was trying to say, I realized he had horrible green breath to go along with it. This is exactly the reason I was against dating. UGGH! Beth and I laughed over the green teeth once I got back to the table, and I marked another notch in the list of THINGS I DON’T WANT. But, I was still keeping an eye on the cowboy holding up the wall across the way. Beth and I may have made a few comments amongst ourselves about him too. The beauty contest continued for a little while and then they played a slow love song. Beth and I were talking and minding our own business when I looked up and saw “green teeth” headed straight for our table. The cowboy holding up the wall must have seen the look of sheer terror come across my face, because just before “green teeth” stepped up to ask me to dance, the cowboy stepped in front of “green teeth” and asked me to dance. In that moment, the cowboy rescued me from certain awkwardness, and left “green teeth” standing there looking dazed and confused. “Green teeth” did not look happy, but I was so relieved the cowboy was taking me in the opposite direction, I didn’t care. It wasn’t until I was on the dance floor I realized I had broken my own rule. Here I was dancing close to a tall cowboy with a buzz cut. Oh, this could be trouble! Not wanting to waste time I figured I’d find out exactly what was wrong with this guy and then get back to the table and enjoy the rest of my evening. We exchanged names, I told him I didn’t usually slow dance and apologized if I stepped on his feet. He told me if a horse could step on his feet, then me stepping on his feet wasn’t anything to worry about. I had a snarky comment about the horse thing, but I kept it to myself. As we made small talk I found out he was a soldier at Fort Campbell, looking for a tourist to “date.” We had a lot in common, he was coming out of a bad relationship too. I asked him at least twenty questions during the dance. I was determined not to repeat the bad relationships of my past. So I had this checklist in my head and on the first wrong answer, this guy was going to be history. The only problem was, he was getting all the answers right, and from the way he answered, he seemed to be pretty honest. That was different. He was different. I asked him if he did drugs? No. Did he drink a lot? Mountain Dew (Hmm, that’s what I drink). Drugs and alcohol abuse were the big deal breakers, I had been around those guys, and wasn’t going down that road again. He passed the first two big tests. Time to just hit him with the big list of WHAT I DON’T WANT. I asked him if he knew how to read? What was the name of the last book he read? You name it, I was straightforward, to the point and more than a little obnoxious. I was sure I had put this guy off. He would never look my way again. When the song ended, he followed me back to my table. He made me laugh and spent the rest of the evening at the table with Beth and I. He ordered a Coke (they didn’t serve Mountain Dew). I told him he was free to order a beer if he liked, he didn’t have to drink Coke just because we were. He replied, “I’ve been holding this same beer all night.” One-half of a beer ALL NIGHT, what strange world was this? He got his soda and we talked until they closed. He still got all the answers right. I was amazed. As he walked me to my car, he asked me out for the next night. The rest is history. It’s hard to believe I have been with that cowboy all these years and I love him more every passing day. Amazingly, I owe it all to a guy with green teeth. It’s strange how God works in ways we could never imagine. Be open to the possibilities, but never settle for less than what God has for you.